Front elevation of house which sits on an unsupported garage below. 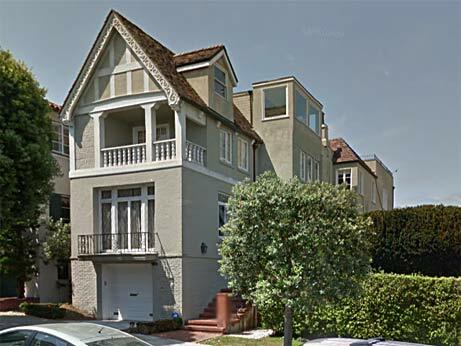 It was necessary to perform a full seismic retrofit as was mandated by San Francisco soft-story regulations. This included structural repair work involving installation of structural steel support.